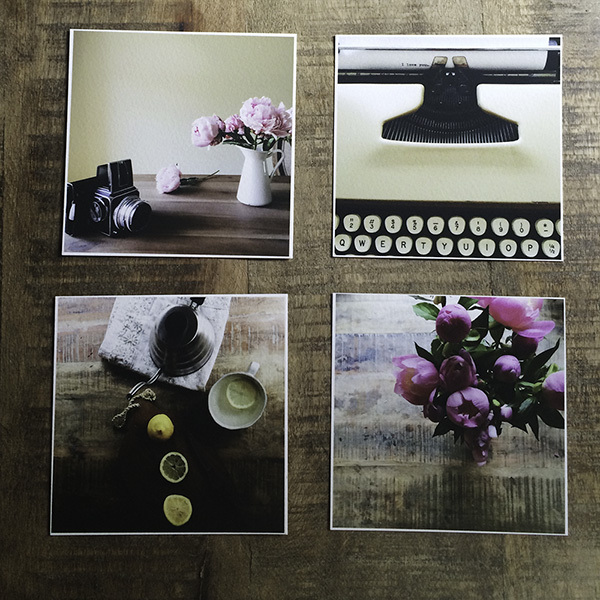 Today I'm excited to share that I have updated my shop with 3 sets of mini-prints! These are a collection of my favorite Instagram images and capture the simple, everyday moments in my life. Each image measures 4 x 4 inches (10.16 x 10.16 cm) and is printed on 100% cotton, heavy matte fine art paper with archival inks. 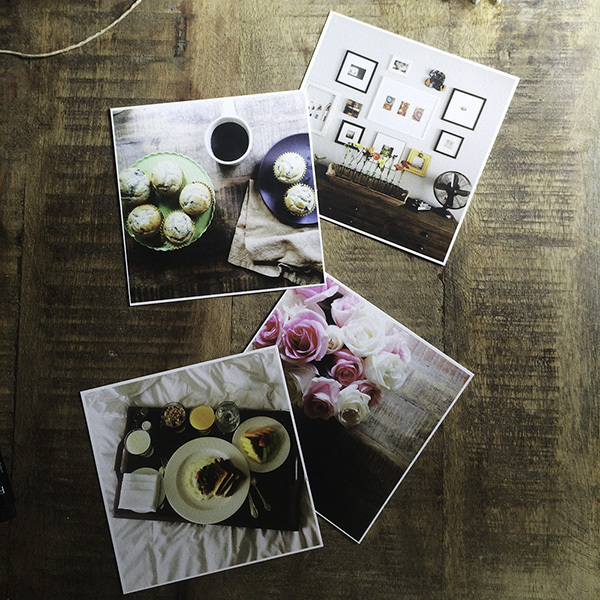 They are perfect for your inspiration board, tucked in your journal, or taped on your wall. Art prints coming soon to the shop. Be sure to sign up for my newsletter for updates and discount codes. Finally, if you are interested, I have only one remaining copy of On The Table, a collection of film images taken on my kitchen table. I'm not sure when, or if, I will have any more printed.